Accredited UKCC L2 Instructor, First Aid & Safeguarding Qualifications, Fully Insured. Lily has two horses who she has trained & produced herself . 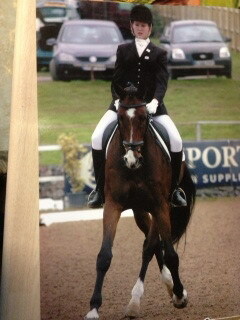 Verdusie whom she has had from 5 yrs old -now competing at Int1 and Leo had from a 4yr old now competing at PSG. Lily has competed on the Home International Team, at the Regional & National Finals.